Character Edit -> Items Tab. 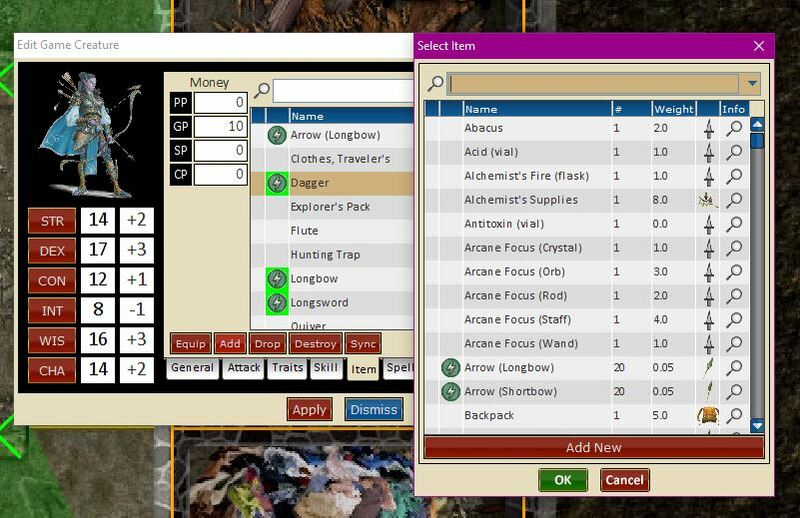 The items tab allows you to manage some of the aspects of gear and monies on your character sheet. Money: The fields for mony are a standard set of entries where you can track the monies your have. Equip: Equips or unequips an item on the list. Add: Opens the select list for adding a new item to your character. You can create a new item if what you are looking for is not on the list, by hitting the 'Add New' button on the bottom of the list. This will take you to the Rules Library->Items: New dialog. 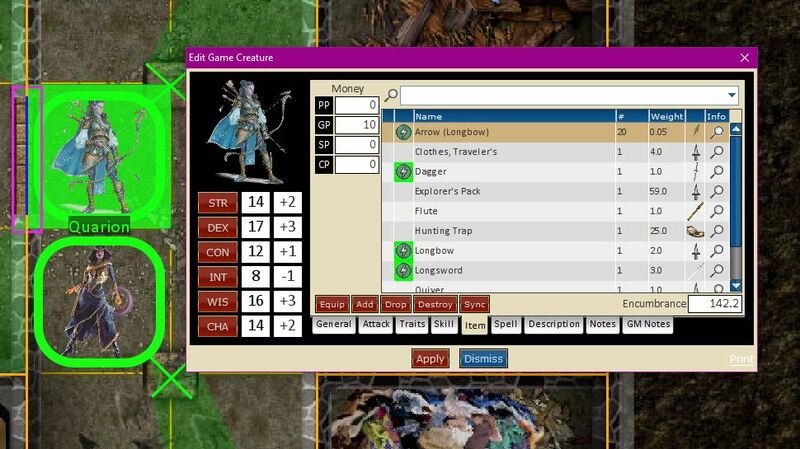 Drop: Closes the character sheet and takes the user to the drop item dialog for placing the item on the map and options that entails. Destroy: Deletes the item from the character. 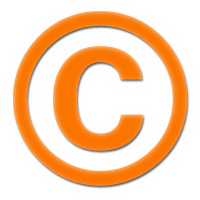 Sync: Syncronizes the item with the copy in the Rules Library->Items replacing the current instance on the character. Encumbrance: is a non editable field that totals up all the item on your character by weight. Equiped: The dagger has automation attached to it and is currently equiped. Unequiped: The Arrows have automation attached to them and are currently unequiped. Character Edit -> Items Tab: Add. The select list for adding a new item to your character. You can create a new item if what you are looking for is not on the list, by hitting the 'Add New' button on the bottom of the list. This will take you to the Rules Library->Items: New dialog.